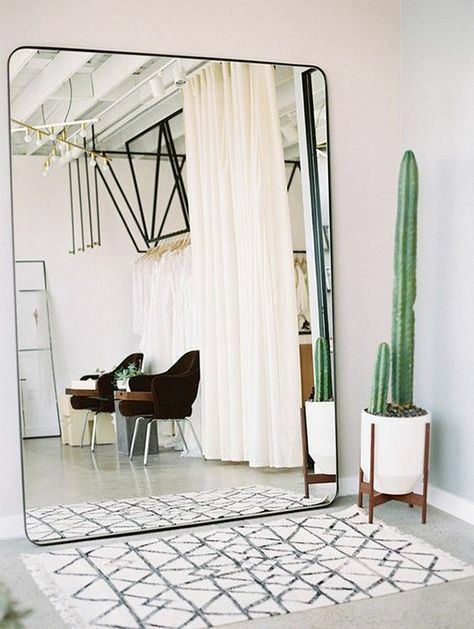 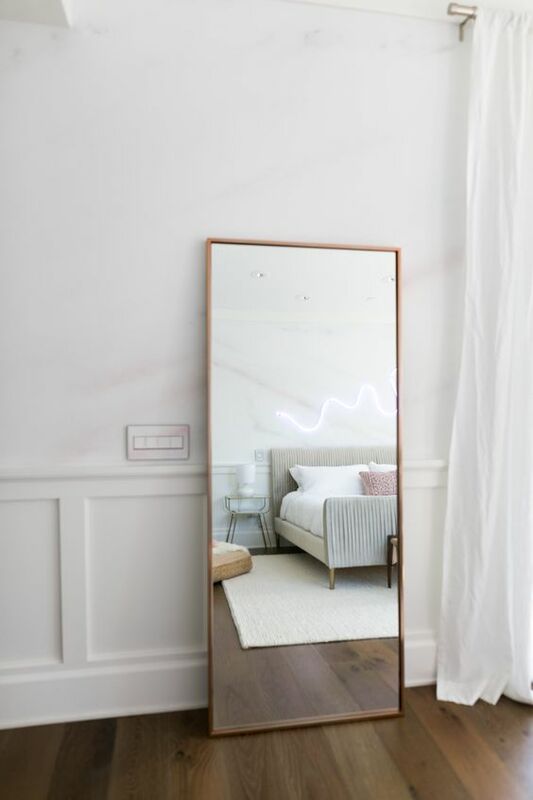 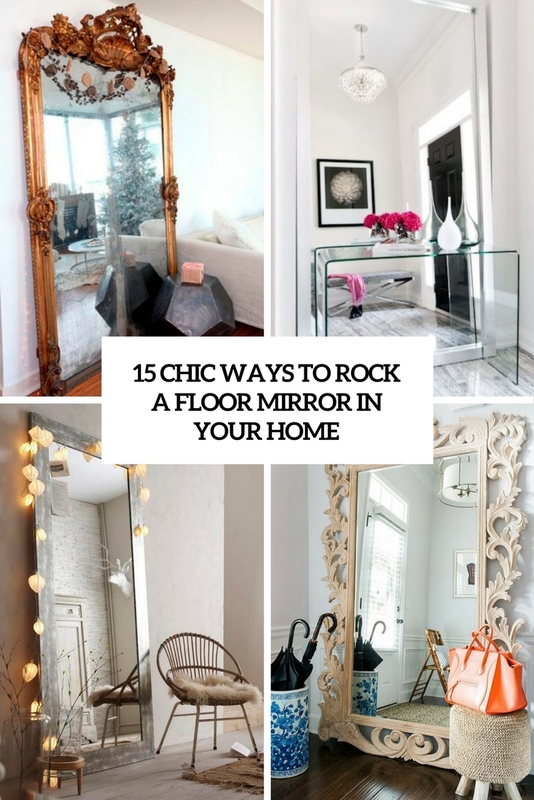 A mirror is a piece that is a win-win idea for many spaces: it’s a functional piece that visually expands the space and adds chic and glam to it. 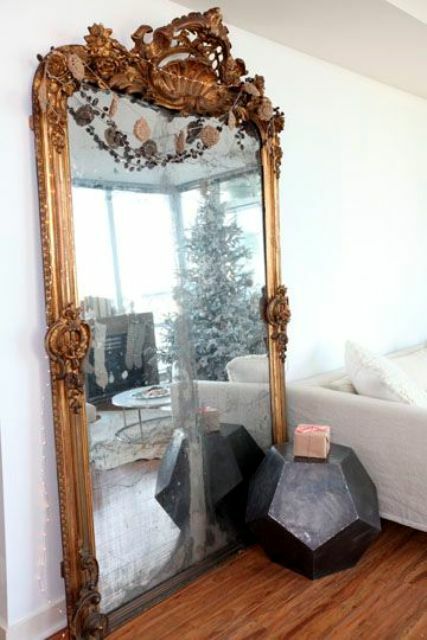 Today I’d like to have a look at a very special decor feature: an oversized floor mirror. 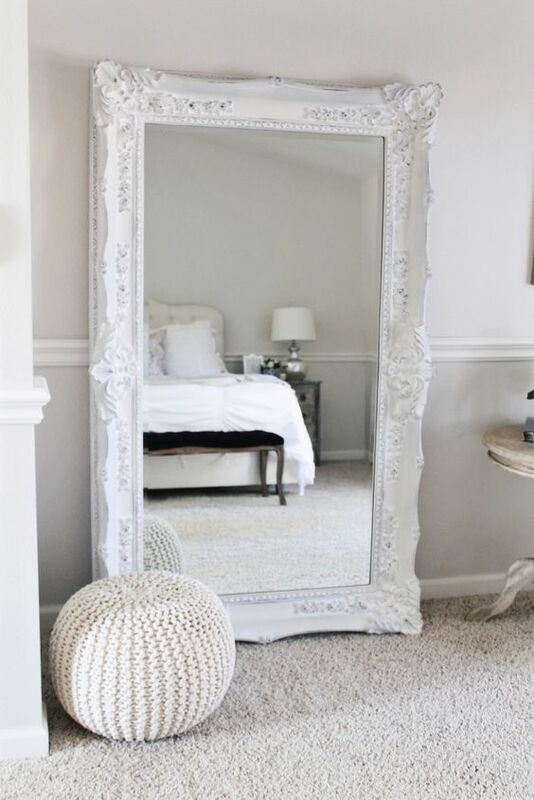 A floor mirror is often placed in a bedroom because there you can dress, and this mirror will be functional. 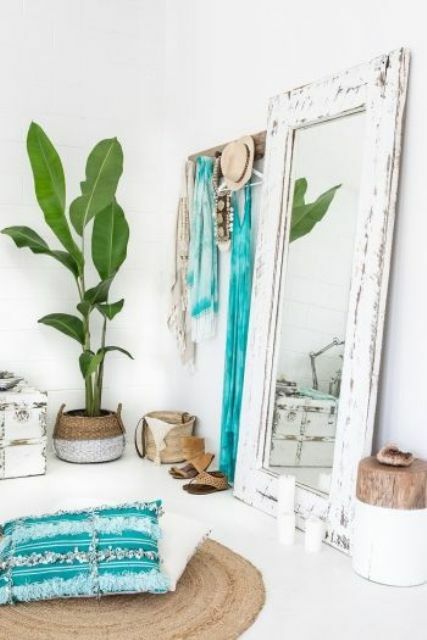 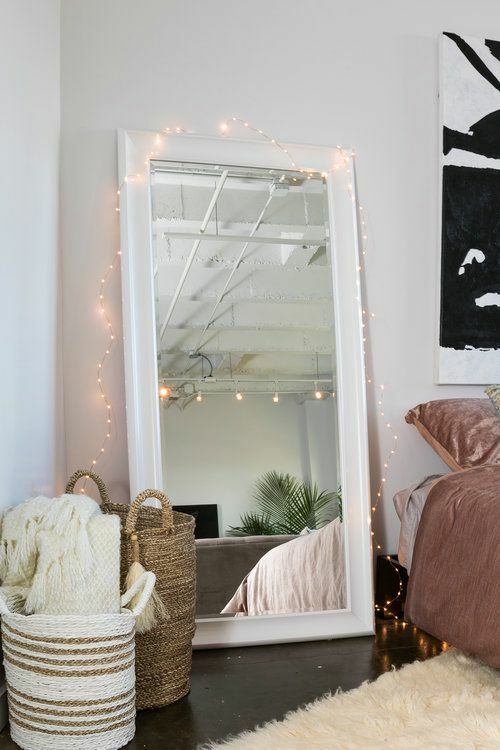 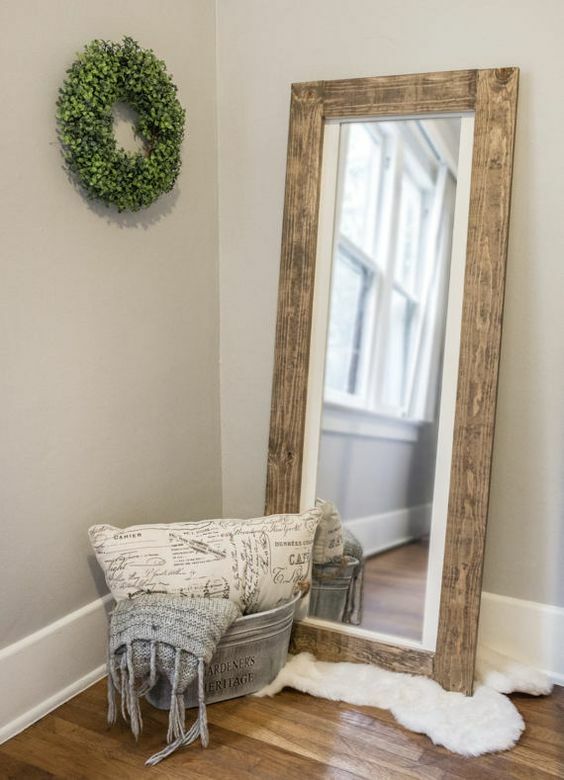 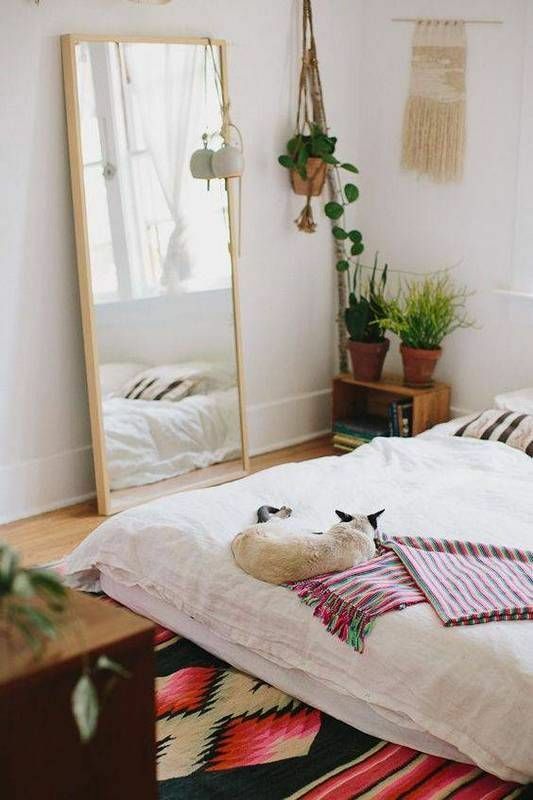 Choose the frame of the mirror according to your interior: a shabby chic and whitewashed mirror can be a fit for a tropical, shabby or eclectic space. 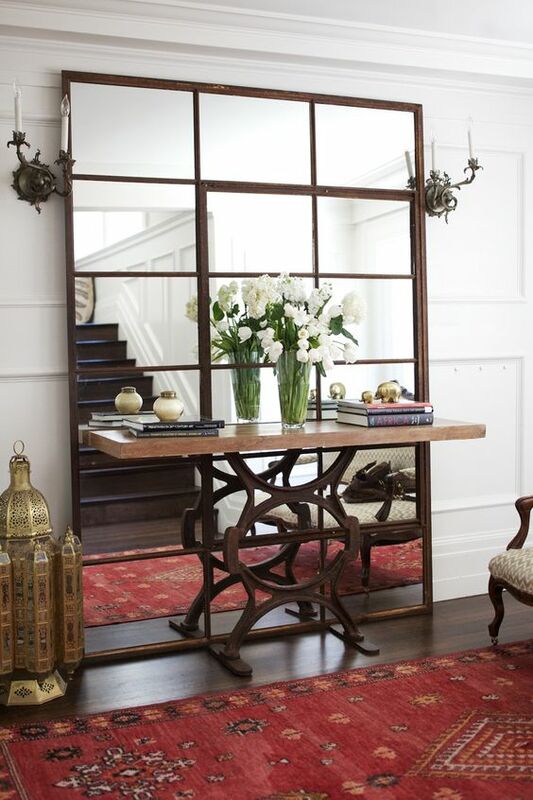 Natural wood or metallic frames look timeless and will match many interiors. 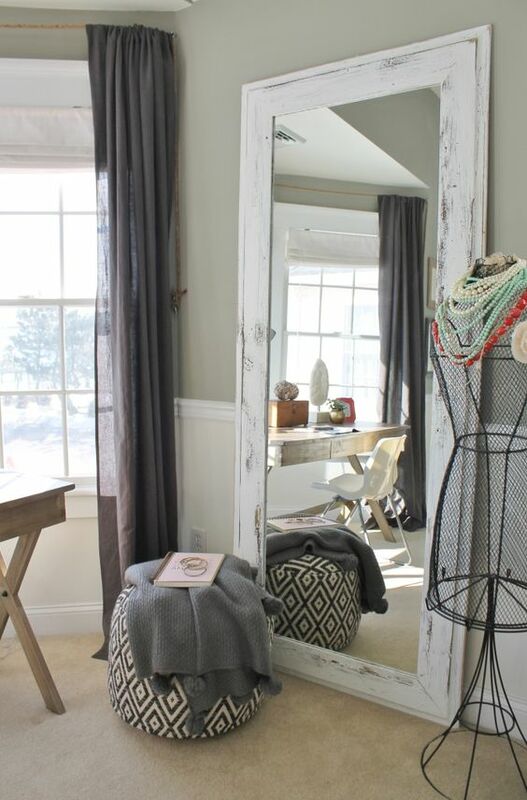 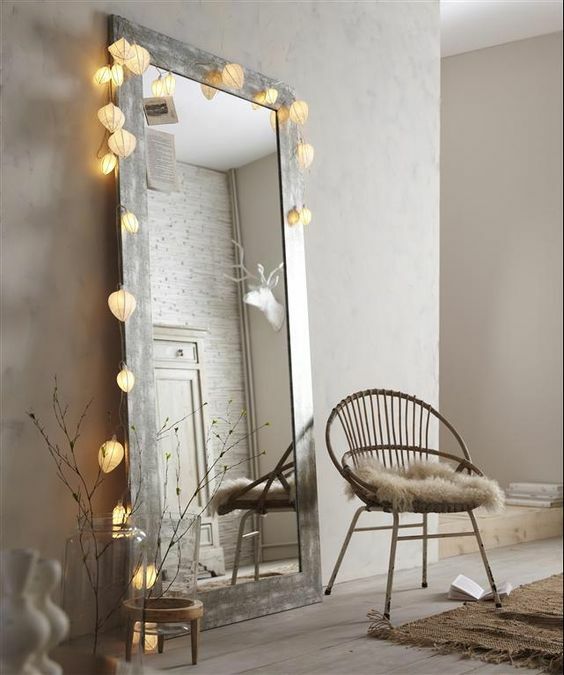 Accentuate your mirror with a light garland to make it stand out even more. 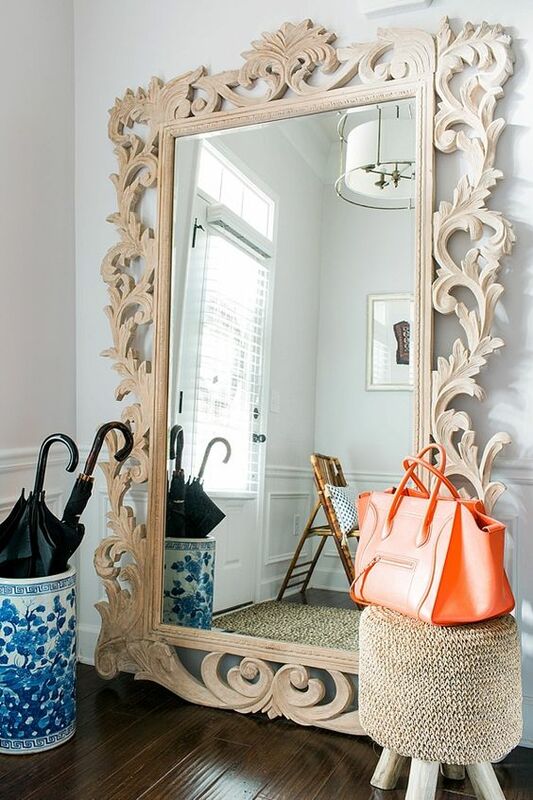 An entryway is the first space your visitor sees inside, so it should impress and welcome. 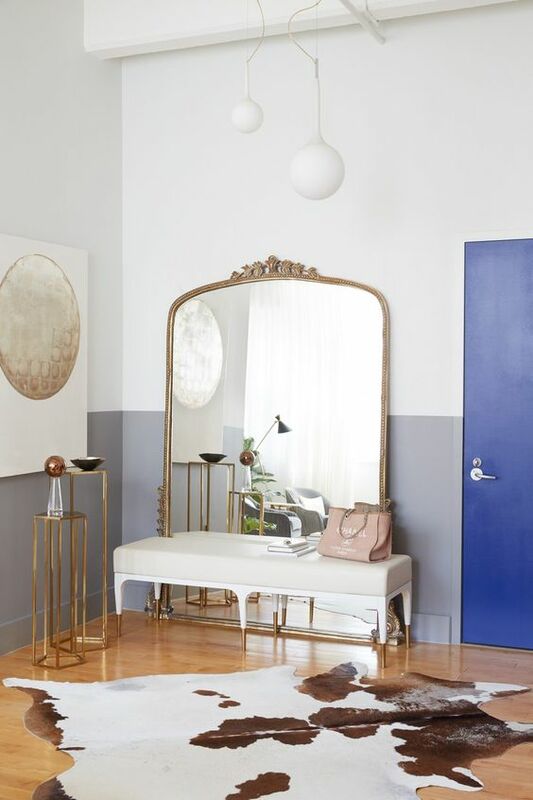 Make a bold statement with a floor mirror in your entryway and it will also make the space look larger, which is essential in an entryway that is usually small. 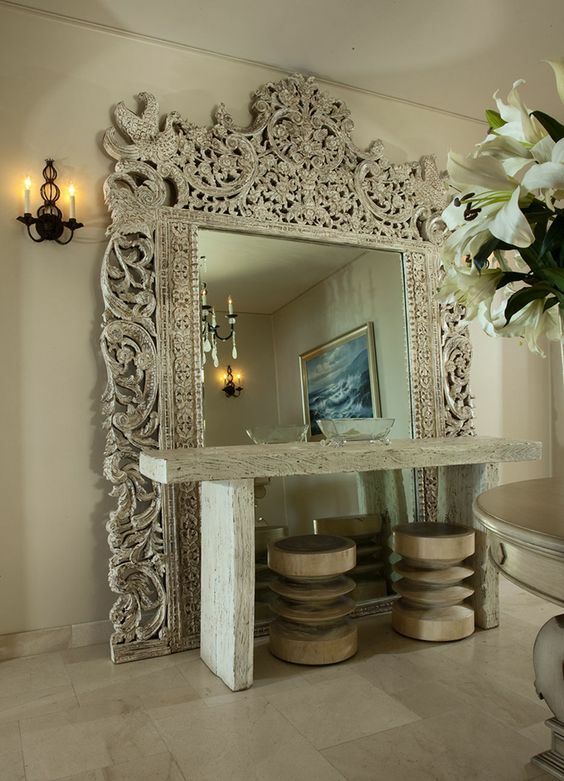 You can try a carved wooden frame or an exquisite vintage one to make a bold statement. 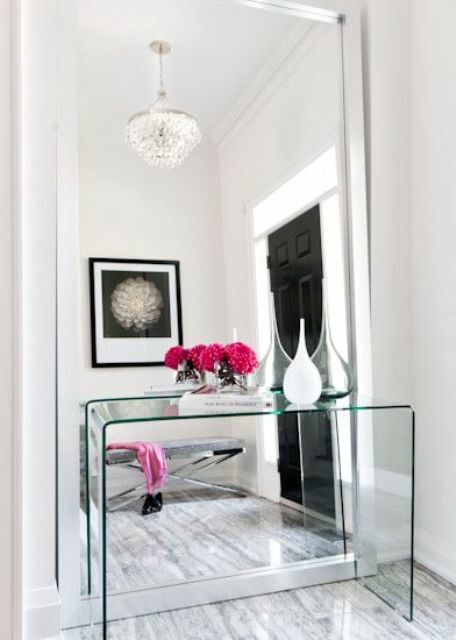 For an airy feeling, add a glass console, it won’t prevent you from seeing all the details.